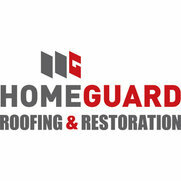 HomeGuard Roofing & Restoration is a Denver-area, Arvada owned and operated roofing and restoration company. We offer full service exterior restoration, local roof repair and replacement services in the Denver Metro area. In addition, we offer installation and repair of siding, screens, doors, gutters plus painting and staining. We also do window repairs and replacement. Our residential and commercial roofing company is run by 4 experienced local construction contractors who are Denver natives.